''Blondie'' Sunday comic strip hand-drawn and signed by Chic Young published on 17 February 1974. In this 12-panel strip, Daisy and her puppies make Dagwood feel loved, despite everyone else wanting Blondie's attention. 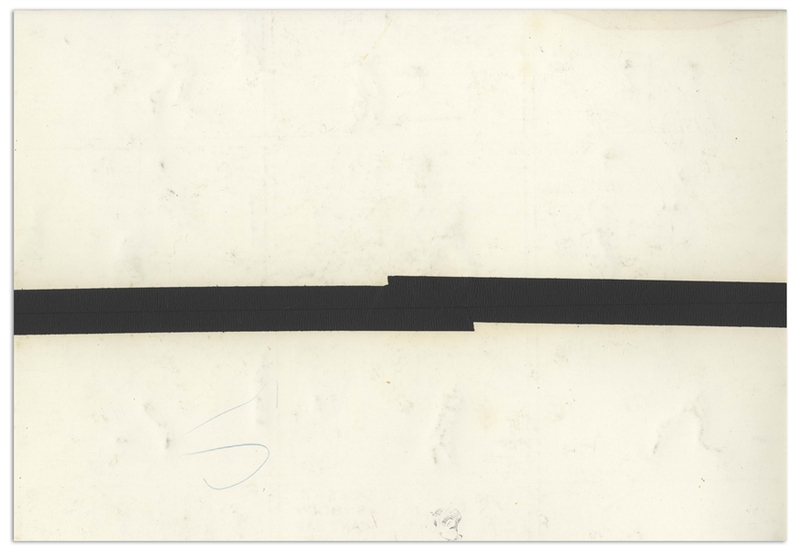 Strip measures 19.25'' x 17'', with tape on verso adjoining the top and bottom halves. Some tape residue, else near fine condition. 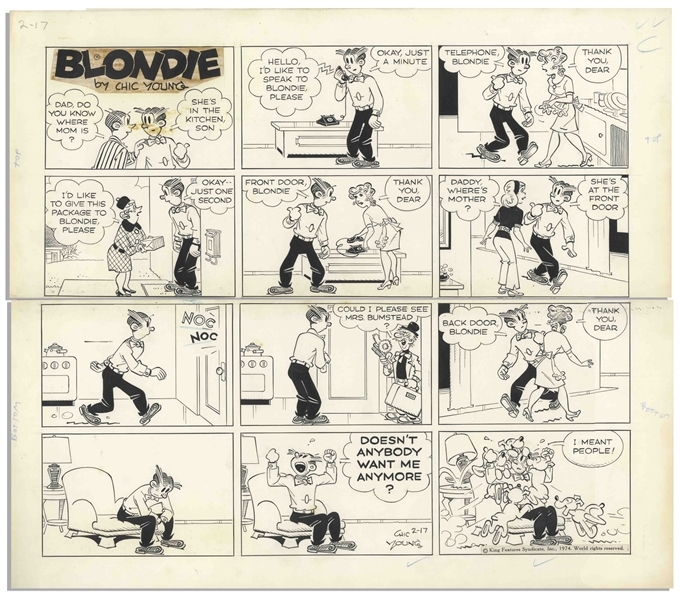 Although Chic Young passed away in March 1973, he had completed strips that were published until mid-March 1974. From the Chic Young estate.